Lights, Camera, Action! 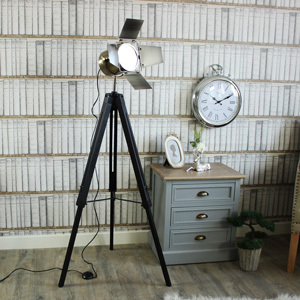 It’s time to make your home Hollywood ready by featuring one of our fantastic Vintage Tri-Pod lamps or one with all the glitz and glamour of the red carpet. Floor lamps not only offer a perfect lighting solution but also become a key focal point in your interior with their height and presence. 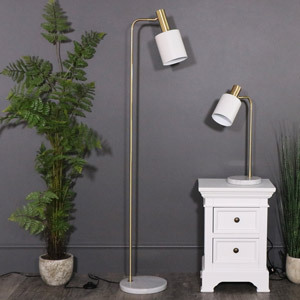 With lamps that ooze a unique and modern look to become a statement in your contemporary home, whether in your living room, dining room or even bedroom. Give your French chic interior the piece de resistance it longs for by showcasing one of our wooden standing lamps to add a rustic, finishing touch. 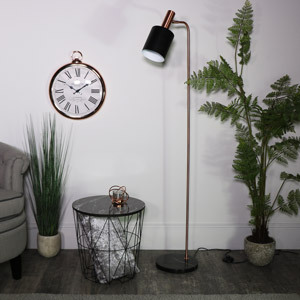 Our free standing, floor lamps whether industrial, elegant, shabby chic or retro will stand proudly alone to make a statement in your room.